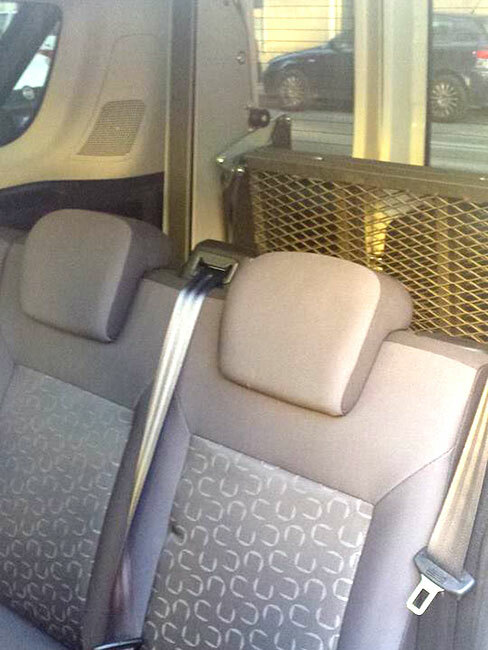 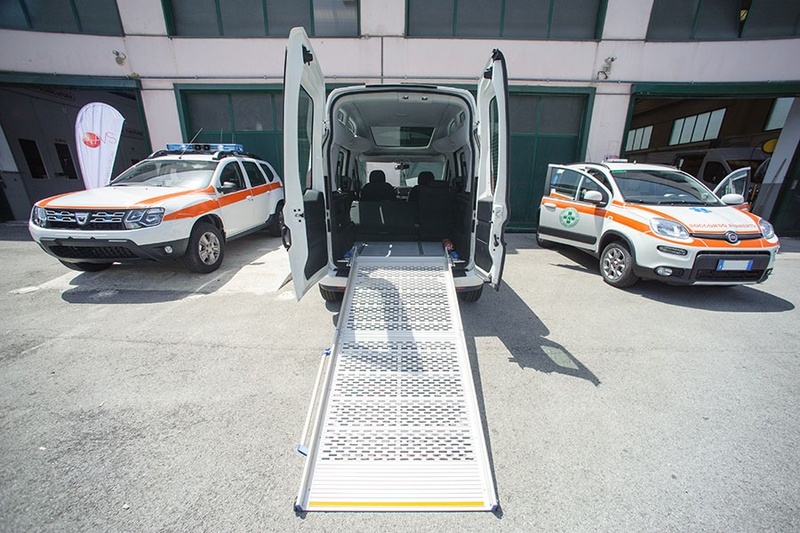 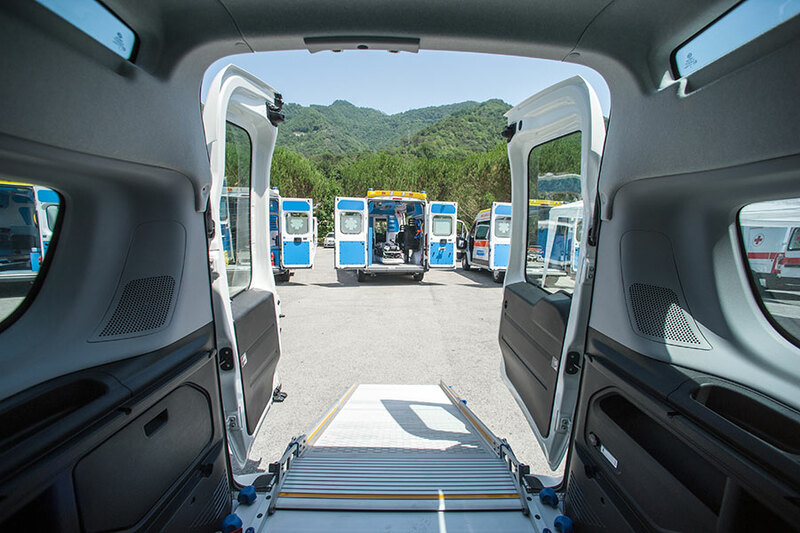 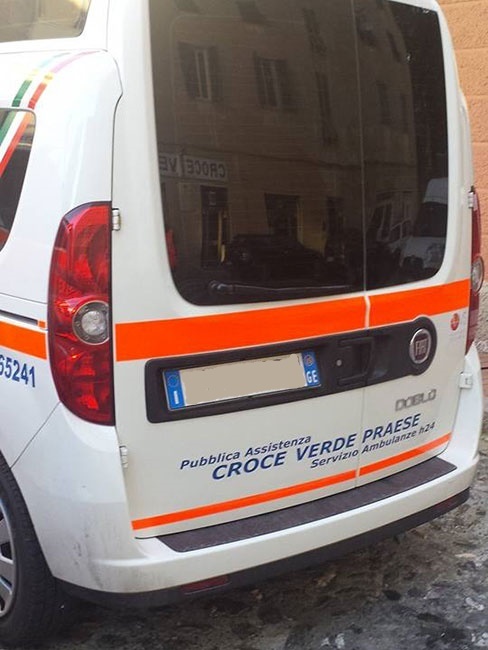 tail lifts, to be installed in the back of the vehicle or on the side, and that allow the disabled to stay easily seated on wheelchair during the transport, or to load the wheelchair alone with the passenger riding on the vehicle. 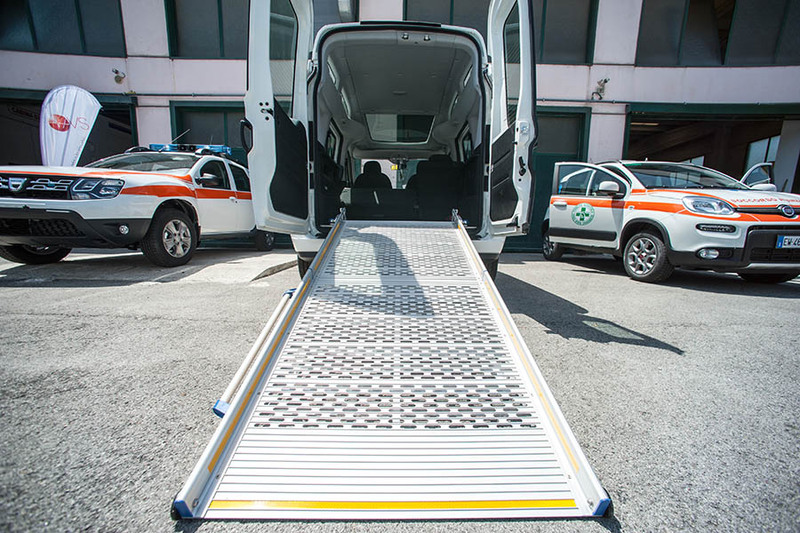 ramps with different degrees of inclination to allow access in the vehicle with the wheelchair, from the side or the back. 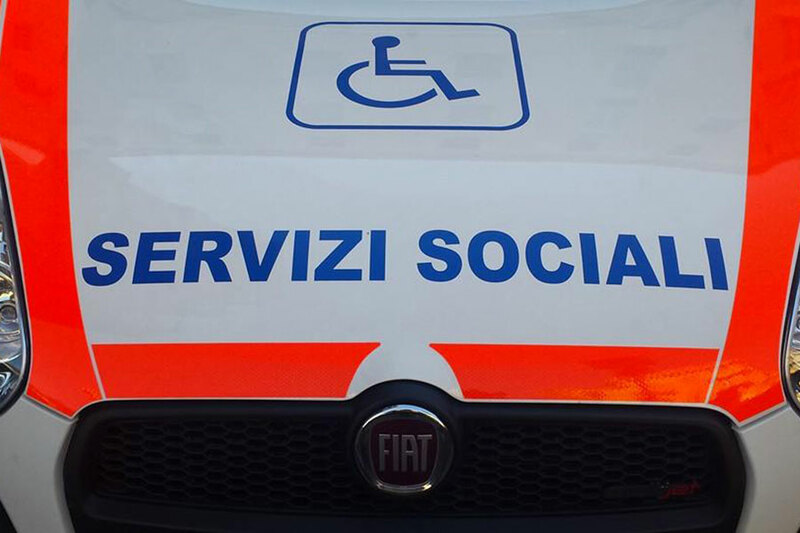 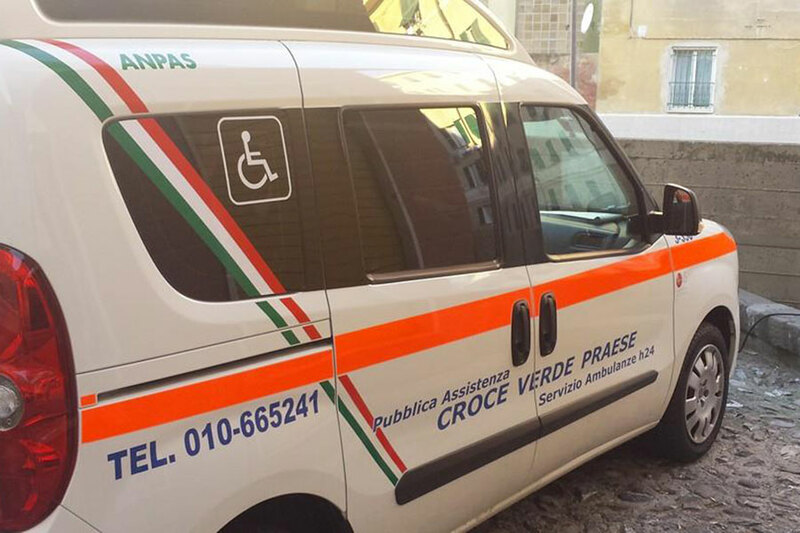 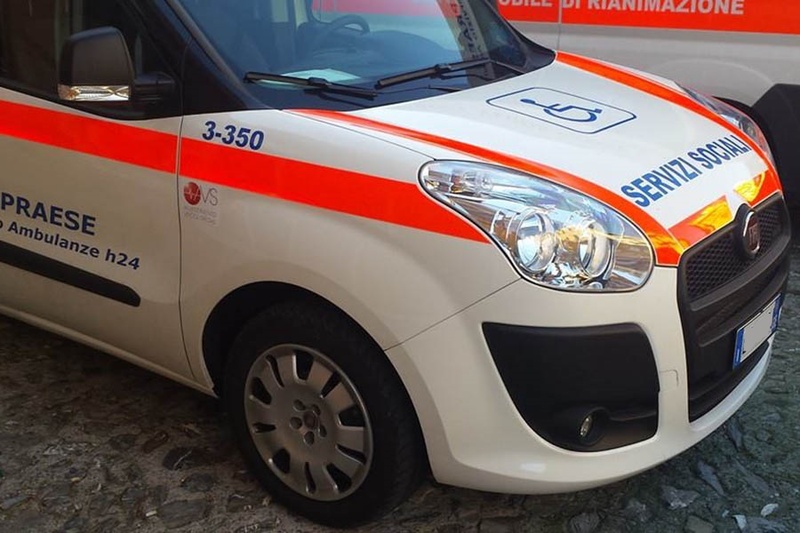 The patient is needed to stay on the wheelchair, which will be locked to the interior. 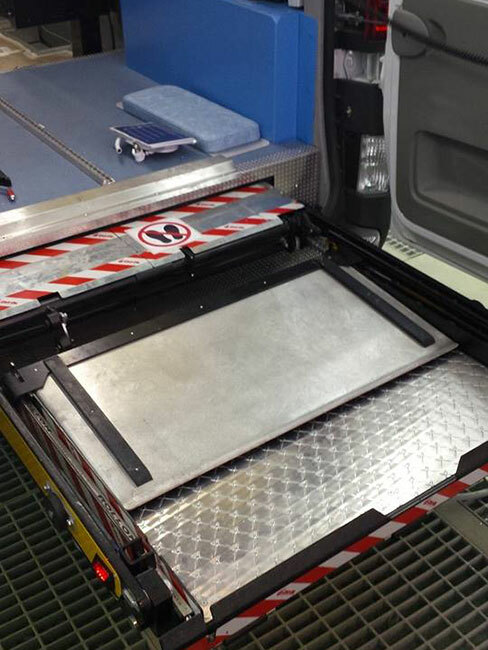 Ramps can be manual or electric.